Audrey R. Weller, 87, of Evans, Georgia and formerly of Tiffin, passed away Thursday evening, January 31, 2019 in Evans, Georgia at her daughter’s home. 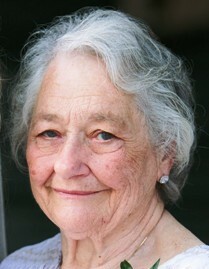 She was born on March 20, 1931, in Clinton Twp., to Raymond J. and Doris E. (Swander) Michaels. On January 11, 1951, in St. Joseph Catholic Church, she married Donald R. Weller, Sr. who preceded her in death on September 2, 2010. Survivors include her sons, Donald Ray (Deborah) Weller, Jr. of Tiffin, Michael (Angela) Weller of Spokane, WA; daughters, Cynthia Ann (David) Carter of North Port, FL and Sue Ellen (Dennis) Shock of Evans, GA; brother, Fred Mark Michaels; sister, Sylvia Coder of Willard; 14 grandchildren; 10 great-grandchildren; and 1 great-great grandchild. She was also preceded in death by her parents; and brothers, John Raymond Michaels, Earl Joseph Michaels and Edward Albert Michaels. Audrey graduated from Tiffin Columbian High School and retired from General Electric as a line operator. She was a member of St. Joseph Catholic Church and enjoyed gardening, square dancing, reading and spending time with her grandchildren. Her Funeral Mass will be at 11:00 A.M. on Wednesday, February 6, 2019 at St. Joseph Catholic Church with Rev. Joseph Szybka officiating. A Rosary will be prayed 20 minutes prior to Mass. Burial will follow in St. Joseph Catholic Cemetery. Friends may visit with the family from 9:00-10:30 A.M. on Wednesday, February 6, 2019 at Hoffmann-Gottfried-Mack Funeral Home & Crematory, 236 S. Washington St., Tiffin, Ohio 44883, (419) 447-2424. Memorial contributions may be made to the American Heart Association/American Stroke Association.